Whether you’re in need of dog vaccinations, cat declawing, pet boarding, or any number of other services for your pet, you can be confident that Hearts & Paws Animal Hospital can deliver. Driven by our core values of compassion, quality care, and affordable pricing, we work tirelessly to provide the best veterinary services in the Kalamazoo area. As animal lovers, we understand how worrying it can be to care for a sick pet and we know that all pet owners want the best for their furry friends. In today’s post, we’re going to take a closer look at a few of the services that we offer that can help to alleviate that worry and – more importantly – ensure that your pet is happy and healthy. As they say, the best offense is a good defense. One of the easiest ways to prevent your dog from contracting common illnesses is with dog vaccinations. 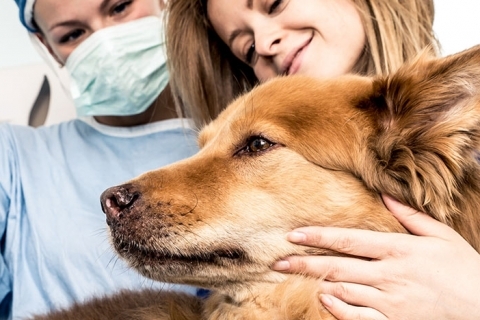 Aiming to prevent widespread diseases and safeguard your pet from environmental dangers, these vaccinations are the absolute best way to ensure the long-term health of your beloved pet. In addition to vaccinations, Hearts & Paws offers other preventative care options, as well. Whether you’re in need of flea and tick repellants or heartworm medication, you can be confident that our team will work with you to understand your pet’s needs and address any health-related issues that you – and they – are experiencing. At Hearts & Paws Animal Hospital, we believe that everyone should have access to high-quality, affordable, and compassionate pet care. We are absolutely committed to working with pet owners to get them the care that their pets need. If you’ve been searching for a veterinarian in Kalamazoo that has a proven record of delivering the best quality of care around, visit us today!